Before Christmas I received the most unexpected and thoughtful gifts in the mail. 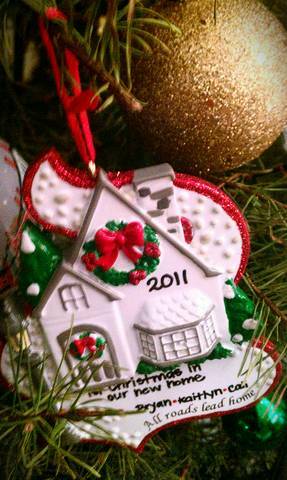 Whitney sent us the most perfect ornament to add to our tree - "1st Christmas in our new home. All roads lead home" I mean, this was made for us -- thanks Whit! 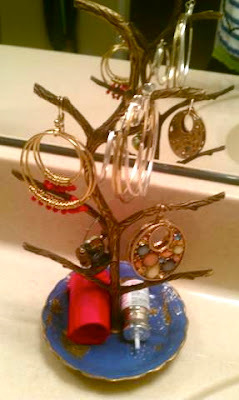 Then my friend, Anna, sent me this amazing jewelry tree and a yellow scarf from Urban Outfitters. Can you get any sweeter? I don't think so! I mean, she saw me blog about these items, bought them and had them shipped to me. Amazing and so appreciated! Thank you ladies, I know you're reading! I love the jewelry tree! And how nice for them to send you such thoughtful gifts! I always think getting things in the mail is the best thing ever... but it's the unexpected packages that really are the best! You are sooooo welcome girly. From the moment I saw it, I knew it just had to be yours :-). Love that jewlery tree too. 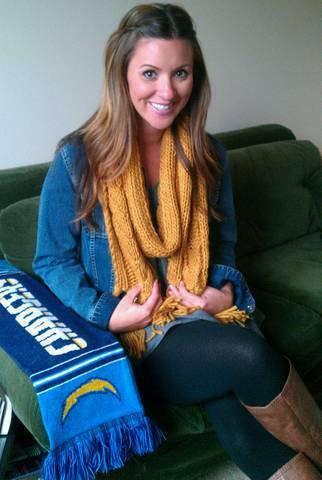 LOVE scarves - that color looks awesome with your hair! Cute! Mustard yellow looks pretty on you! and Go Chargers!